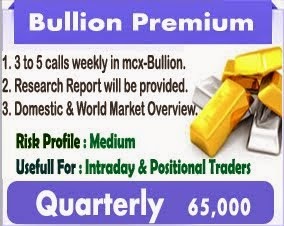 BULLION - Bullion counter may remain on weaker side as gold hovered on Tuesday near a five-week low touched in the previous session as rising U.S. Treasury yields boosted the dollar, making gold expensive for holders in other currencies. U.S. Secretary of State Mike Pompeo said on Monday he thought the United States and China were â��on the cuspâ�� of a deal to end their trade war, adding to positive signs about negotiations from both sides of the Pacific. China has set its 2019 economic growth target at 6.0 to 6.5 percent, Premier Li Keqiang said in his annual work report on Tuesday, lower than last yearâ��s goal of around 6.5 percent. Gold can dip lower towards 32200 while facing resistance near 32600. 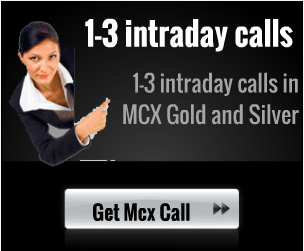 Silver can test 38500 while facing resistance near 38850. Asian shares stepped back on Tuesday after China cut its economic growth target and pledged measures to support the economy amid growing challenges from rising debt and a dispute over trade and technology with the United States. ENERGY- Crude Oil- Crude oil may open on negative note as oil prices dipped on Tuesday amid tepid prospects for growth in fuel demand, but OPEC led efforts to cut output offered some support. And despite optimism that the United States and China will soon end their bitter trade disputes, oil demand growth has been slowing along with an economic slowdown especially in Europe and Asia. The OPECled supply cuts, as well as U.S. sanctions against its members Iran and Venezuela, come at the same time as U.S. crude output chases ever new records, rising by more than 2 million barrels per day (bpd) since early 2018 and above 12 million bpd for the first time in February. Crude oil can test 3980 while facing resistance near 4050. Natural gas may test 205 while taking support near 198 in MCX. U.S. natural gas futures held near a five-week high on Monday on forecasts for the massive storage deficit to grow as utilities pull huge amounts of gas out of inventories to heat homes and businesses this week as brutally cold weather blankets much of the country. BASE METAL - Base metals prices may trade with sideways bias. China will cut billions of dollars in taxes and fees, increase infrastructure investment, and step up lending to small firms, Premier Li Keqiang said on Tuesday, as the world's second-largest economy looks set to slow further this year. 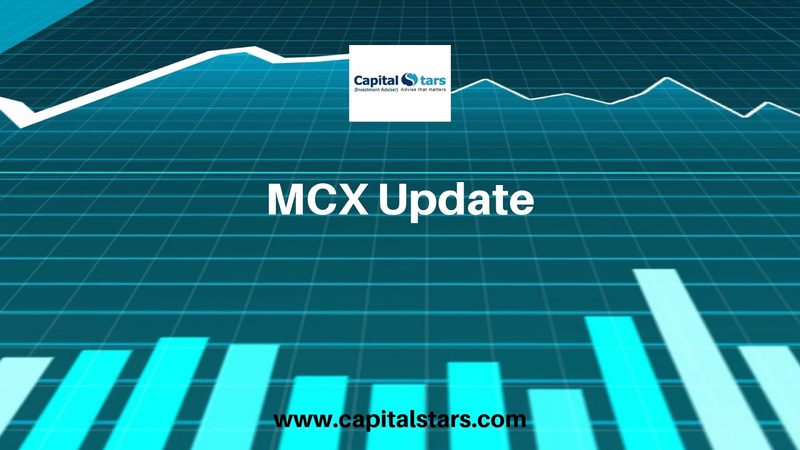 Copper may test 466 while taking support near 458 in MCX. The amount of available copper stored in the London Metal Exchange's (LME) warehouse system fell to 21,600 tonnes last week, the lowest level since 2005. Zinc can test 195 while facing resistance near 199. Lead can trade on mixed path in range of 148-152. Nickel can also test 960 while taking support near 945. Nickel prices climbed to a six-month peak on Monday as expectations of a fourth consecutive year of supply deficit were reinforced by signs of robust demand from stainless steel mills in China. Data from the International Nickel Study Group shows the nickel market deficit at 46,000 tonnes in 2016, 115,000 tonnes in 2017 and 127,000 tonnes last year. Nickel stocks at 196,542 in LME-registered warehouses have nearly halved since the start of January last year, while cancelled warrants metal earmarked for delivery stand at 37 percent. 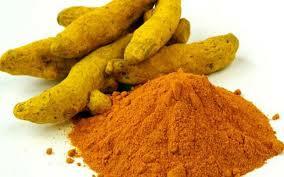 Arrivals of new turmeric to the markets in Erode increased. The price of finger and root varieties of new turmeric, too, improved. The traders have purchased all the arrivals. The arrivals to improve further from next week and the traders may buy more as they have received some fresh upcountry demand. 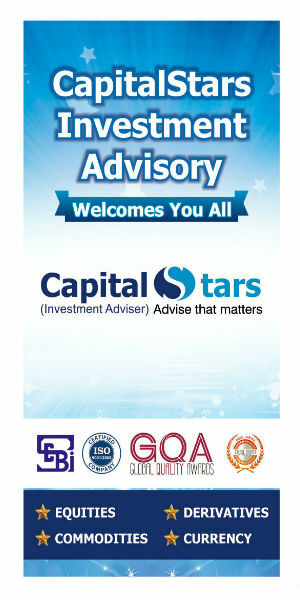 Jeera futures (Mar) is expected to rally towards 15700- 15800 levels, taking support near 15540. Spot jeera prices continued to rule steady at major markets in Gujarat in limited trade on Tuesday id matching demand and supply. This season, Gujarat has witnessed lower sowing, but due to cool weather persisting for a longer time, the yields are expected to get better. In Rajasthan, the climatic conditions are also proving to be beneficial for the standing crop & hence the production is likely to be higher. Coriander futures (Apr) is expected to plunge towards 6000-5900 levels. Spot coriander prices are trading with a bearish bias at major markets in Gujarat, Madhya Pradesh and Rajasthan due to heavy arrivals from the ample old stocks. While, prices quoted lower at major markets in Gujarat due to increased arrivals & having higher moisture content. On the other hand, there was no report of new crop arrival in Madhya Pradesh. 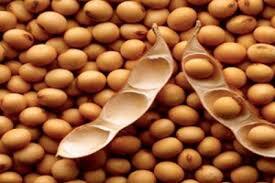 Soybean futures (Feb) is expected to witness consolidation in the range of 3725- 3795 levels. Data compiled by the Solvent Extractors’ Association of India (SEA) showed a sharp jump in soybean meal exports during the period under review from 23,000 tonnes to 2.8 lakh tonnes with the Iran market opening up. Mustard futures (Feb) is likely to fall further towards 3880 levels. The continuous offloading of old stocks by traders and government agencies are continuously building selling pressure on physical markets. The left-over stock with NAFED is now close to 2.18 lakh tons. Additionally, the recent rain and less foggy days are proving to be beneficial for the mustard crop & raising the prospects of higher output this season.Three spells of rains in December and January have boosted moisture in the soil,which increased yields in Rajasthan. Mustard carryover stocks are seen at 500,000 tn in the year ended January, up from 400,000 tn last year. CPO futures (Feb) is likely to witness profit booking from higher levels facing resistance near 575 levels. The majority of oils in Indore mandis have been trading low for the past few days on slack physical demand with soy refined quoted at Rs.777-80 for 10 kg (down Rs.10), while soy solvent ruled at Rs.740-45. Similarly, palm and cotton oils also traded low with palm oil being quoted at Rs.695 (down Rs. 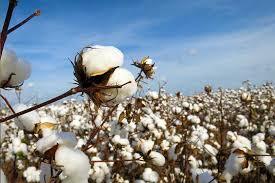 5), while cotton oil (Gujarat) at Rs.715 and cotton oil (Indore) at Rs.755 respectively. Cotton futures (Feb) is expected to face resistance 20805 levels. The sentiments are bearish on account of weak demand from both yarn mills and overseas markets. Presently, the export demand is sluggish as the prices being offered at around 74-75 cents per pound are higher as compared to the global market. 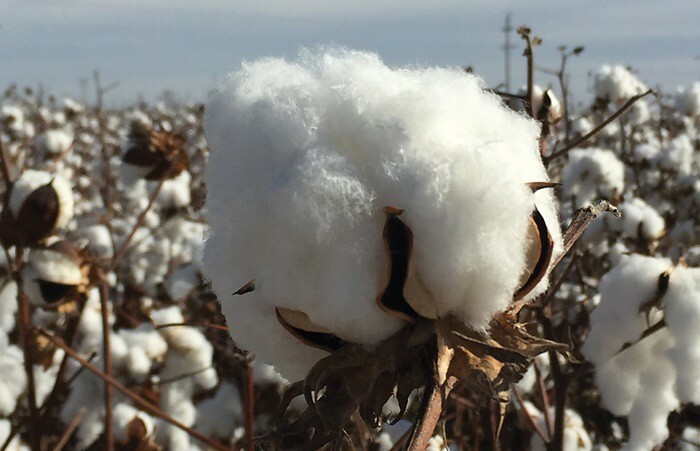 Day’s ahead, the talks on US-China trade situations will give direction to the cotton prices in the international market. Guar seed futures (Feb) may fall further towards 4040 levels, while guar gum futures (Feb) is expected to witness more correction & test 8000-7900 levels. Due to lack of fundamentals & lack of clarity in direction of prices, the buyers are staying away from fresh buying. Anticipation of 60% probability of El Niño conditions to form and continue through the Northern Hemisphere spring 2019 has induced cautiousness among the market participants. However, one must keep a close look as both the counters are witnessing consolidation & open interest is declining, giving an indication of a possible trend reversal. The trend of chana futures (Mar) is bearish & may trade sideways to down in the range of 4165-4265 levels. Overall, the sentiments are weak due to higher arrivals of new crop and the rise in selling pressure by the NAFED, especially in the states of Madhya Pradesh and Rajasthan. Mentha oil (Feb) is likely to take support near 1540 levels. The sentiments are turning positive on account of delayed sowing due to untimely rains which may bring a considerable dip in the crop yield.